U.S. Commerce Department reduces tariff on Canadian paper used by newspapers | Newspaper Target Marketing Coalition, Inc.
WASHINGTON -- The U.S. Commerce Department on Thursday said it would make permanent, but also reduce, tariffs on Canadian paper used by the newspaper and publishing industry. The tariffs, which had been as high as 22.16 percent, will be capped at 16.88 percent, the Commerce Department said. The tariffs are intended to help U.S. paper mills compete against Canadian producers accused of receiving government subsidies and selling their paper at below-market prices to U.S. customers. Only one of the Canadian companies accused of selling their paper below cost in the U.S. will face the anti-dumping duty -- Catalyst Paper Corp. -- set at 16.88 percent. But all Canadian mills will be subject to a separate tariff of up to 9.81 percent for receiving unfair government subsidies, the Commerce Department said. The U.S. imposed the preliminary tariff in March on uncoated groundwood paper imported from Canadian mills and used as newsprint by the U.S. newspaper industry. The tariff was in response to a complaint from a single paper mill -- North Pacific Paper Co. in Washington state. 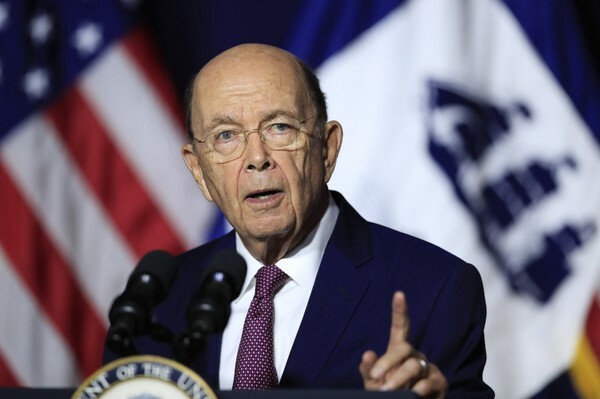 Commerce Secretary Wilbur Ross said Thursday that the department would also revise downward its preliminary ruling that Canada provides unfair subsidies of between 4.42 and 9.93 percent to its mills that produce the paper. The new rates will be between 0.82 and 9.81 percent. The independent federal agency is due to rule on the case in late August.